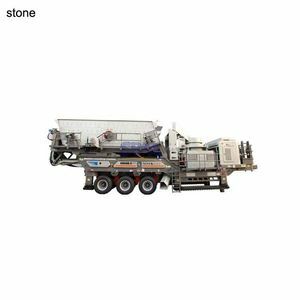 truck mounted mobile stone crusher can be directly selected venues, directly to the site, without transport, directly to finished size. 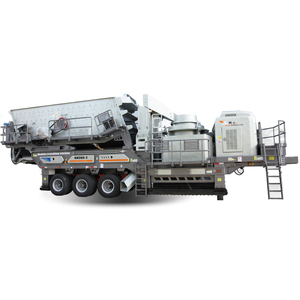 Mobile impact crusher plant including impact crusher, vibrating feeder, vibrating screen, belt conveyor and car body. 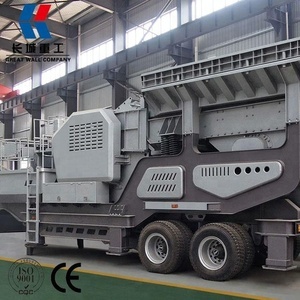 Mobile cone crusher plant including cone crusher, vibrating feeder, screening machine, belt conveyor and car body. The eccentric rotating drive shaft causes the movable jaw to oscillate crushing the aggregate against a fixed jaw. 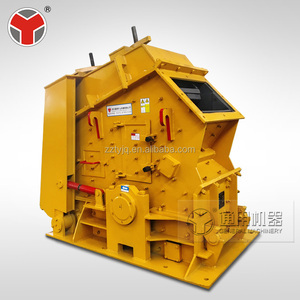 The space at the bottom of the "V" aligned jaw plates is the crusher product size gap, or the size of the crushed product from the jaw crusher. It is a major production and export base of sand-stone and powder making machinery in China. 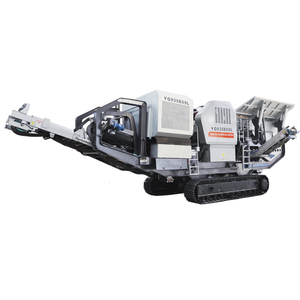 11 YRS Zhengzhou Great Wall Heavy Industry Machinery Co., Ltd.
11 YRS Henan Hongji Mine Machinery Co., Ltd.
11 YRS Zhengzhou Zhongding Heavy Duty Machine Manufacturing Co., Ltd.
10 YRS Henan Shibo Mechanical Engineering Co., Ltd.
8 YRS Henan Xingbang Heavy Machinery Co., Ltd.
4.Hydraulic adjustment and method for cleaning chamber make operation and maintenance much more convenient and automatic. Stones in the crushing cavity are extruded, impacted, and boned continuously, finally they are crushed. Production Capacity This production capacity table can be used for HPG cone crusher selection as a preliminary tool. 10 YRS Shandong Chengming Construction Machinery Co., Ltd.
1 YRS Henan Hongji Mine Machinery Co., Ltd.
1 YRS Sino Mining Co., Ltd.
6 YRS Shanghai Shanai Machinery Co., Ltd.
4 YRS Henan Dewo Machinery Co., Ltd.
Every crushing station is an independent working unit, they can respectively assume their different responsibility, and the belt conveyor is responsible for material transmitting and piling up between each crushing station. 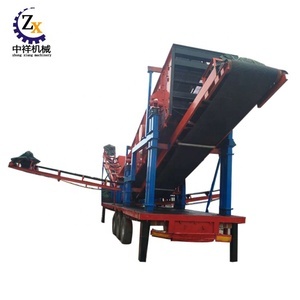 Every crushing station is an independent working unit, they can respectively assume their different responsibility, and the belt conveyor is responsible for material transmitting and piling up between each crushing station. Every crushing station is an independent working unit, they can respectively assume their different responsibility, and the belt conveyor is responsible for material transmitting and piling up between each crushing station. 180 tons per hour Mobile Jaw Crusher Plant in our new workshop [ Brief Introduction ] : Mobile jaw crusher is a new rock crushing and screening equipment, its design philosophy is to fully adapt to the mobile crushing and removing barriers like sites, environment, and base configuration which will hinder crushing operations, and to provide customers with real simple, efficient and cost-effective rock crushing equipment. [Applications] : ore crushing, construction aggregate production, water utilities, railway, road construction, chemical, and etc. [Applicable Material ] : Granite, marble, basalt, limestone, quartz stone, river gravel, iron ore, copper ore, mountain stone, etc. 6 YRS Luoyang Zhongde Heavy Industries Co., Ltd.
5 YRS Henan Liming Heavy Industry Science & Technology Co., Ltd.
Extrusion and shear has been adapted this equipment, it's make a great contribution to reduce size easy to transportation or others. 4: The device features low speed, high torque, low noise, dust can meet environmental standard . The perfect shipping way and best service with lowest price are always provided for customers. 9 YRS Henan Tongli Machine Manufacturing Co., Ltd.
We have perfect after-sales service system and team with professional for whole using life. We have more than 200 professional technicians, of whom five people are senior engineers. We have set up various tile, brick and metal equipment in central China. 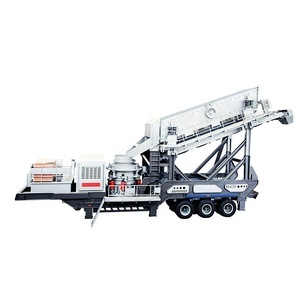 Alibaba.com offers 2,166 truck crusher products. About 13% of these are plastic crushing machines, 12% are crusher. 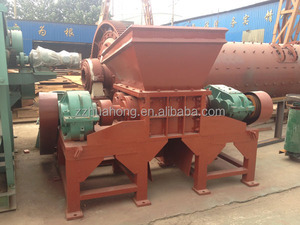 A wide variety of truck crusher options are available to you, such as jaw crusher, roller crusher, and impact crusher. 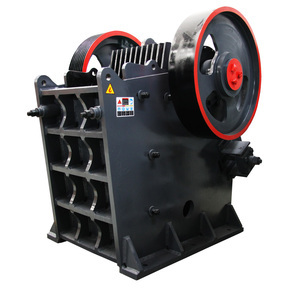 You can also choose from waste plastic crusher, bottle crusher, and plastic pipe crusher. As well as from ac motor, dc motor. And whether truck crusher is free samples. There are 2,166 truck crusher suppliers, mainly located in Asia. The top supplying country is China (Mainland), which supply 100% of truck crusher respectively. Truck crusher products are most popular in Southeast Asia, Domestic Market, and South Asia. You can ensure product safety by selecting from certified suppliers, including 499 with ISO9001, 276 with Other, and 8 with ISO14001 certification.